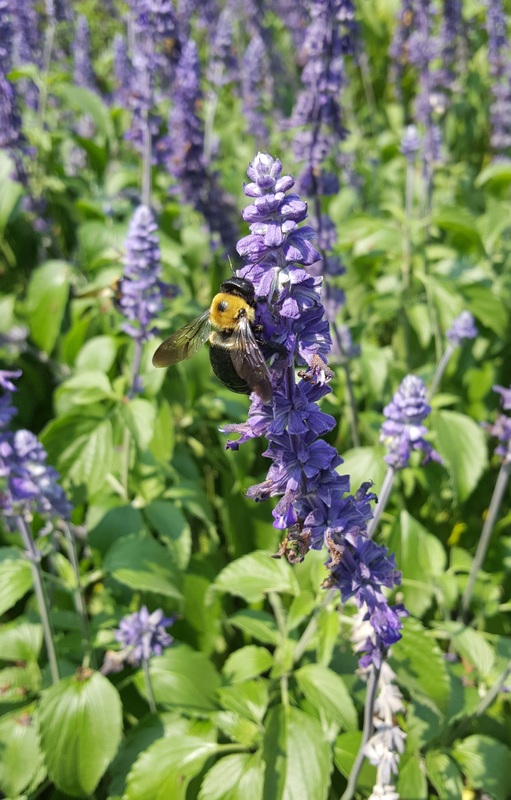 As a licensed Massachusetts pesticide applicator, professionals have the responsibility and ability to prevent pollinators, including honeybees, bumblebees, wasps, butterflies, beetles, moths, flies, and other non-target insects from being exposed to insecticides while managing pest insects in Massachusetts landscapes. Pesticide applicators, through the course of their study and preparation for the Massachusetts Pesticide Licensing examination, receive training from UMass Extension’s Pesticide Education Program on understanding circumstances that can lead to pesticide exposure, negative impacts on bees, and actions they can take to avoid these situations. The following information is summarized and adapted from the 2014 Supplement, Core Training Manual, Protecting Honey Bees from Pesticides by Natalia P. Clifton and Dr. Patricia Vittum, UMass Extension. Toxicity of the Pesticide: Always read the Environmental Hazards section of the pesticide label prior to use. This will provide information regarding the relative toxicity of that specific product. This language is regulated by the US Environmental Protection Agency and includes pollinating insect hazard statements. For more information about the Environmental Hazards section of product labels, visit: https://www.epa.gov/sites/production/files/2015-03/documents/chap-08-sep-2012.pdf . 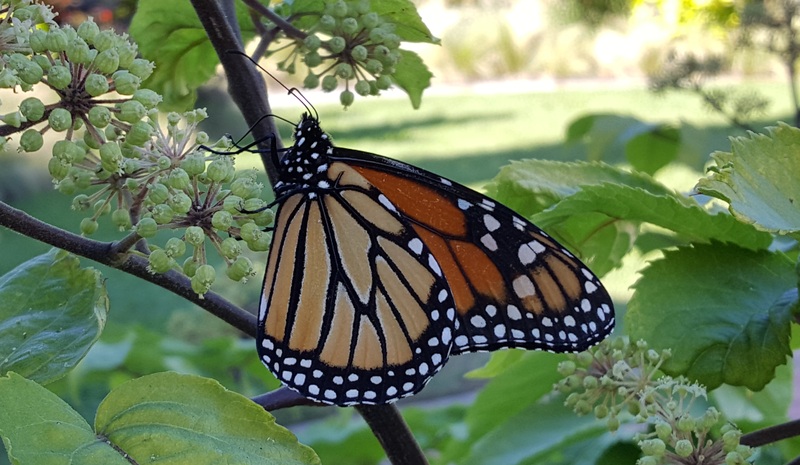 For a summary of the relative toxicity of different active ingredients, used to manage insect pests of trees and shrubs, to pollinators and other non-target organisms, visit: https://ag.umass.edu/landscape/fact-sheets/tree-shrub-insecticide-active-ingredients-risks-to-pollinators-other-non . If that summary contradicts information on the product label, follow the product label. Residual Action: Different insecticide active ingredients vary in terms of the length of time they will be active, or lethal to pests, when present on or in plant tissues. Depending upon the active ingredient, an insecticide may remain active for hours to days to weeks. Residual action may be impacted by an active ingredient’s half-life, or the time it takes for half of the pesticide used to be degraded or broken down in the environment. Residual action or pesticide persistence can be impacted by sunlight, microbes, plant/animal metabolism, water, dissociation, sorption, and bioaccumulation. For example, the half-life of permethrin on plant surfaces ranges from 1-3 weeks. In soil, the half-life of permethrin changes to an average of 40 days, but ranging from 11-113 days. In water, this time changes to 19-27 hours, yet if permethrin sticks to sediments in that water, it may be over 1 year. Choosing insecticides with shorter half-lives/residual activity will reduce the risk of bees and other pollinators and non-target insects becoming exposed. For more information about the factors influencing pesticide half-lives, visit the National Pesticide Information Center: http://npic.orst.edu/factsheets/half-life.html . Formulation: Insecticide products come in different formulations and in some cases the same active ingredient may be available in a variety of forms. While this can be useful depending upon the application, different formulations may differ in their toxicity to bees. Due to their small size and the hairs on their bodies, formulations such as dusts, wettable powders, and microencapsulation pose greater risks to bees due to the tendency of these formulations to adhere to them. Certain liquid formulations may be less hazardous to bees than the aforementioned ones. Drift: It is imperative to avoid the drift of a pesticide onto anything other than the target location of the application. Drift of an insecticide from the target crop/site onto adjacent weeds, trees, shrubs, or other plants (in bloom or otherwise) must be avoided. Avoiding pesticide drift can also be crucial for the health of the applicator. For more information about preventing pesticide drift, visit the National Pesticide Information Center: http://npic.orst.edu/reg/drift.html . Timing: The timing of an application can lead to pollinator exposure to pesticides for many reasons. As mentioned previously, applications during bloom time are crucial to avoid. 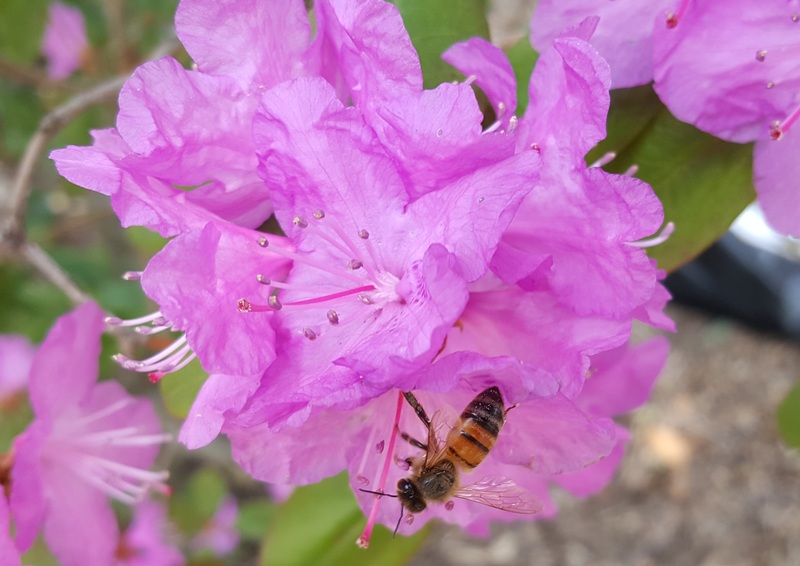 In addition to the time of year/season, taking into account the time of day when making applications can also reduce the risk of exposing bees to insecticides. Timing is closely related to the next factor which could lead to pollinator exposure to pesticides, and that is temperature. Read and follow all directions on the pesticide label regarding toxicity to bees. Check the Environmental Hazards section of the label for warnings about bee/pollinator toxicity. If these warnings are present, there may be further related instruction regarding proper use of the product, taking these concerns into account, in other sections of the label. Apply pesticides when bees are not actively foraging or visiting plants. Applications made in the late evening or early morning (when pollinators may be less likely to be foraging due to factors such as temperature) may reduce the risk of pollinator exposure to the product. Do not treat crops/plants in bloom. Take all precautions to prevent accidental drift. Be familiar with MA state regulations concerning the protection of pollinators. Specific requirements of these regulations may be found in 333 CMR 13.07 of the Massachusetts Pesticide Regulations: https://www.mass.gov/regulations/333-CMR-13-standards-for-application . This includes notifying (24 hours’ notice) apiaries within 2.5 miles of the application site if applying pesticides, which bear a warning statement on the label concerning bees, to fruit trees, alfalfa, clover, or trefoil. See 333 CMR 13.07 for specifics. Additional recommendations are made in the Massachusetts Pollinator Protection Plan: https://www.mass.gov/files/documents/2017/06/zw/pollinator-plan.pdf . Minimize pesticide drift. Take all precautions to prevent accidental drift. Choose the least hazardous formulation of a pesticide, or the least toxic active ingredient available to effectively manage the insect pest of concern. Make pesticide applications only when the weather allows. Modify spray programs in relation to weather conditions on the day of or in the days following a planned application. This includes taking into account precipitation, temperature, and wind speeds. Know where the apiaries are in your area. Contact the MA Department of Agricultural Resources, Apiary Program, for more information: https://www.mass.gov/apiary-program-honey-bees . Find ways to enhance the health of bees and other pollinators. 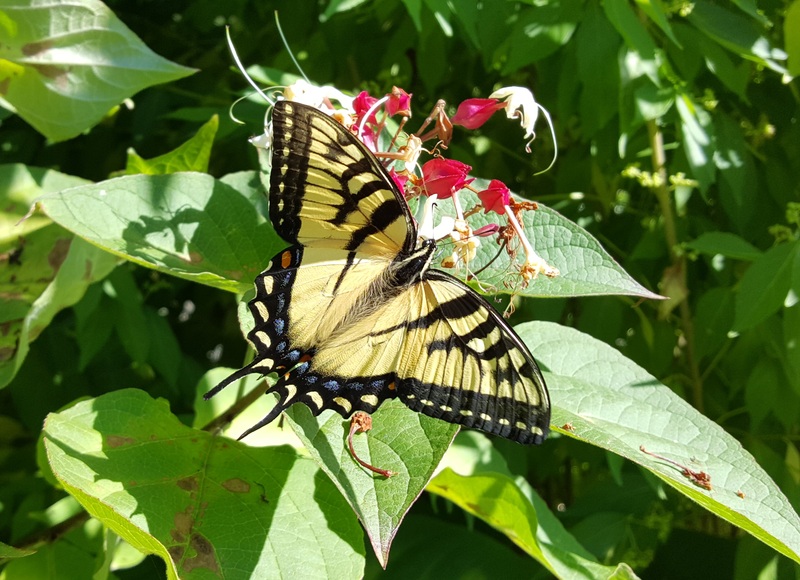 As professionals working in landscaped environments, we have the power to provide clients with pollinator-friendly planting options and encourage the expansion or construction of pollinator-friendly habitat.